Click image to enlarge Whitcomb Island, Washington, Umatilla National Wildlife Refuge: View of the shoreline of the slough separating Whitcomb Island from the Washington shore. Image taken May 24, 2005. 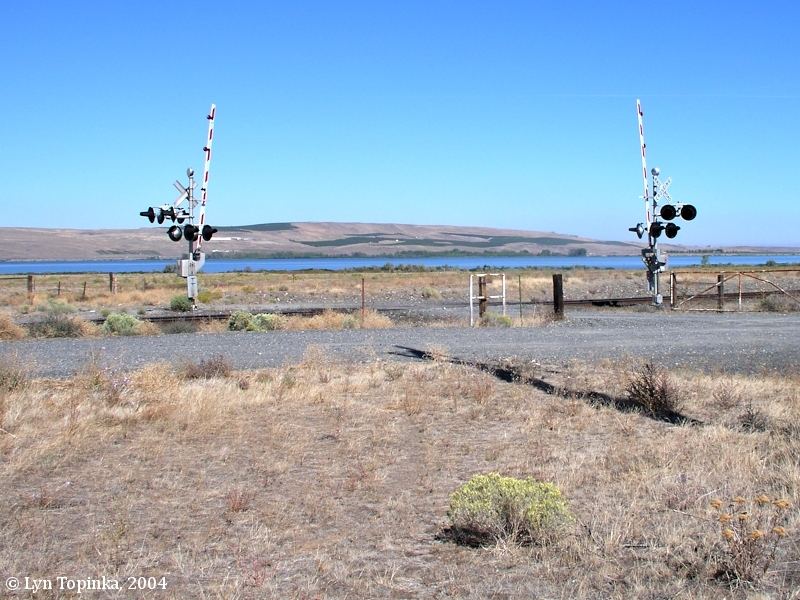 Whitcomb Island is located on the Washington side of the Columbia River and streatches from River Mile (RM) 255 to RM 270. Canoe Ridge rises above the island on the north, and the Blalock Islands are upstream. Boardman, Oregon lies directly across the Columbia. Whitcomb Island is part of the Umatilla National Wildlife Refuge. The island is approximately 5 miles long by 2 miles wide and can be reached by from Washington State Highway 14. 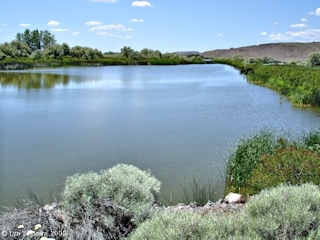 "... Settlement, 1 1/4 miles north of Columbia River, on the side side of Canoe Ridge, extreme southwest Benton County. The original name, Luzon, was changed to the present name at the suggestion of 2 landowners, James A Moore and G. Henry Whitcomb, in honor of the latter. ..."
Current topo maps show Whitcomb located off of Washington State Highway 14 at the base of Canoe Rige, but only about 1/4 mile from the Columbia. The crossing to get to Whitcomb Island is approximately 2 miles yet upstream. 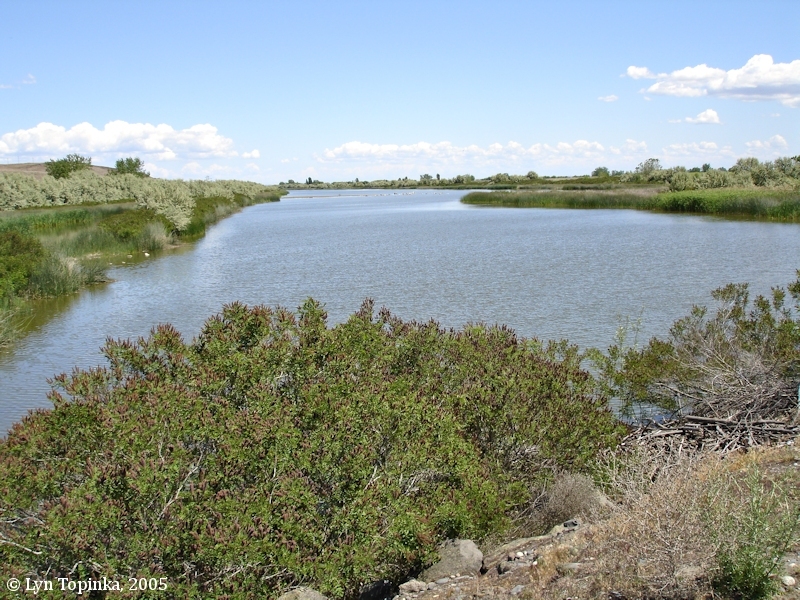 The 25,347-acre Umatilla National Wildlife Refuge was established in 1969 for wildlife habitat lost to flooding caused by the construction of the John Day Lock and Dam. The Refuge consists of 6 units. 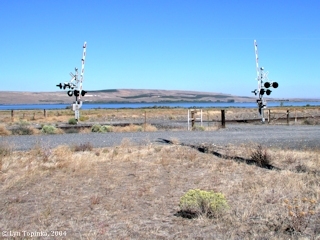 The Boardman Unit is accessed from the Tower Road exit off Highway 84 approximately 3 miles west of the town of Boardman, Oregon. The McCormack Unit is located 3 miles south of Highway 730 off of Paterson Ferry Road near Irrigon, Oregon. The Paterson, Ridge, and Whitcomb Island Units are all accessed from Washington State Highway 14. The Columbia River Unit is accessible by boat. 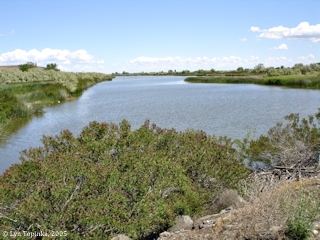 Click image to enlarge Whitcomb Island, Washington, Umatilla National Wildlife Refuge: View is looking upstream along the slough which separates Whitcomb Island (right) from the Washington shore (left). Image taken May 24, 2005. 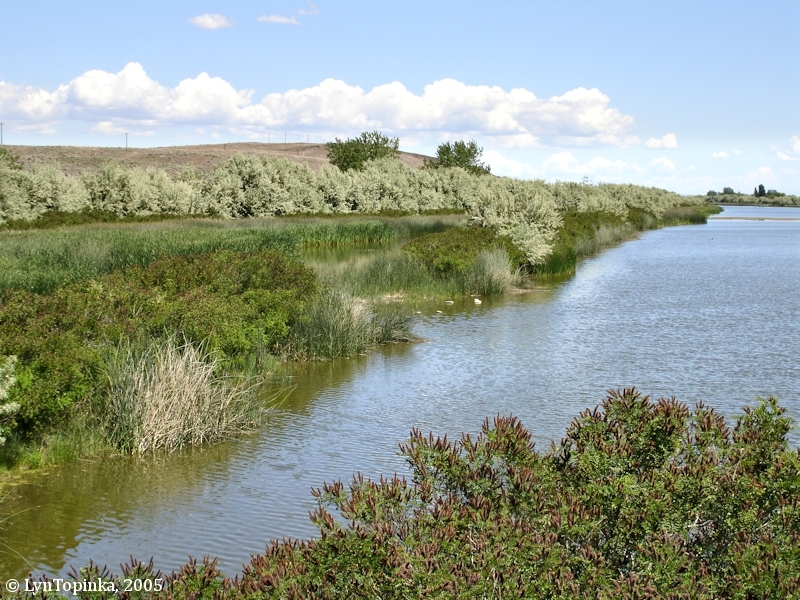 Click image to enlarge Whitcomb Island, Washington, Umatilla National Wildlife Refuge: View is looking downstream along the slough which separates Whitcomb Island (left) from the Washington shore (right). Whitcomb Island is part of the Umatilla National Wildlife Refuge Complex. Image taken May 24, 2005.